There’s definitely something to be said about the familiar. We seek out those things which are familiar because they are comforting. In fact we even call it our “comfort zone”. The entire concept of genres is built around familiarity. It can be something of a mixed blessing, though. 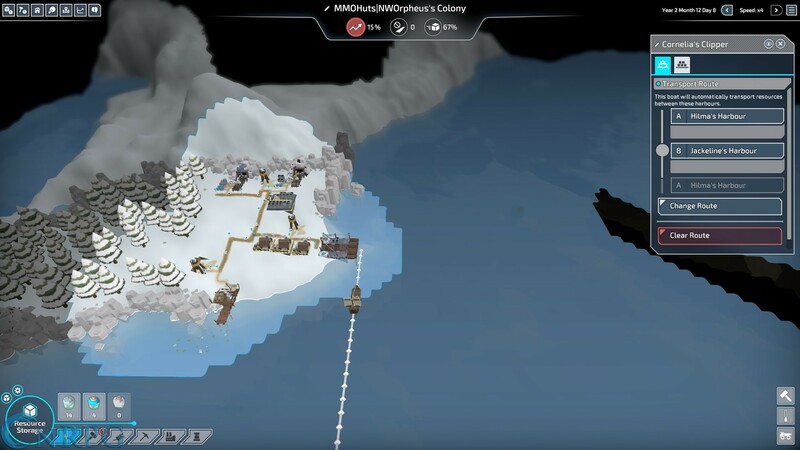 When we ascribe the title of “clone” to something, at least in a gaming context, we’re often suggesting that it’s too familiar or similar to something else. 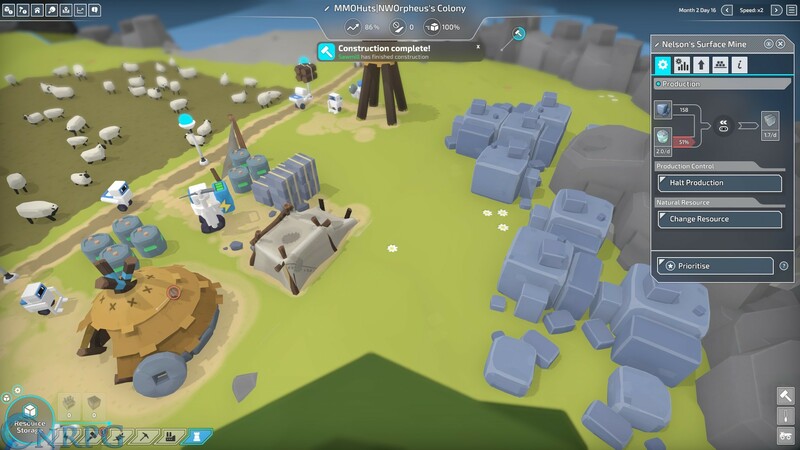 If you’ve ever played any of The Settlers games by German developers Blue Byte, you’re likely to find more than a little bit of familiarity in Codebyfire’s The Colonists. 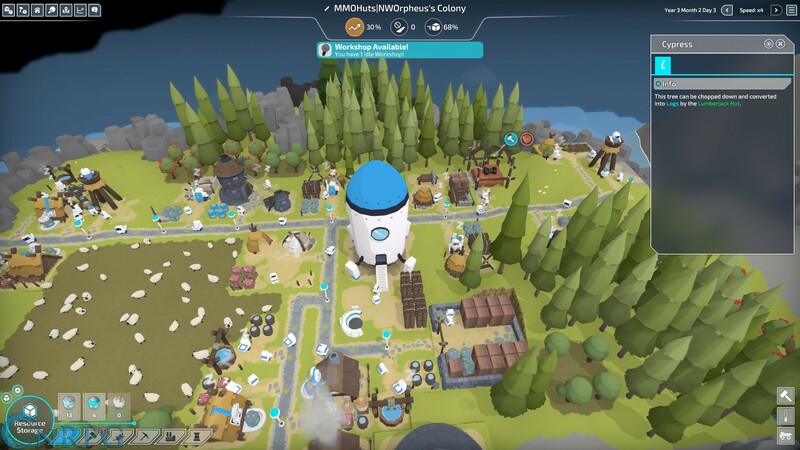 Like The Settlers, gameplay in The Colonists revolves largely around expanding territory using Watchtowers and gathering resources. 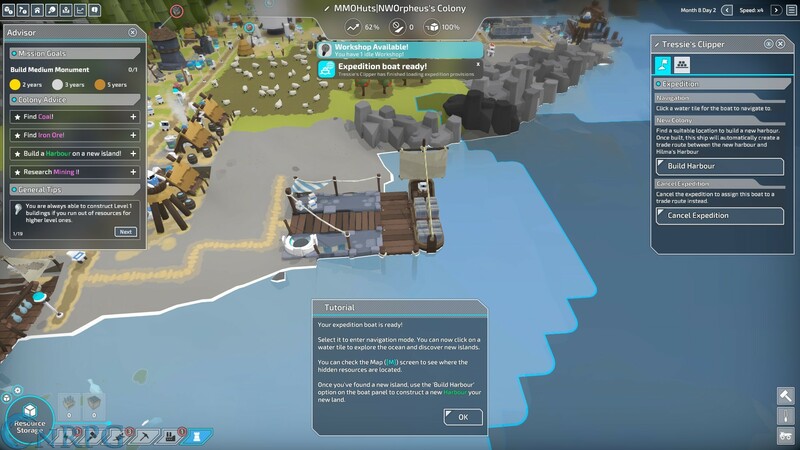 You’ll need to build roads, rails, or harbors to connect your buildings so that resources can travel from one point to another. The games aren’t exact clones, however. Not by a long shot. 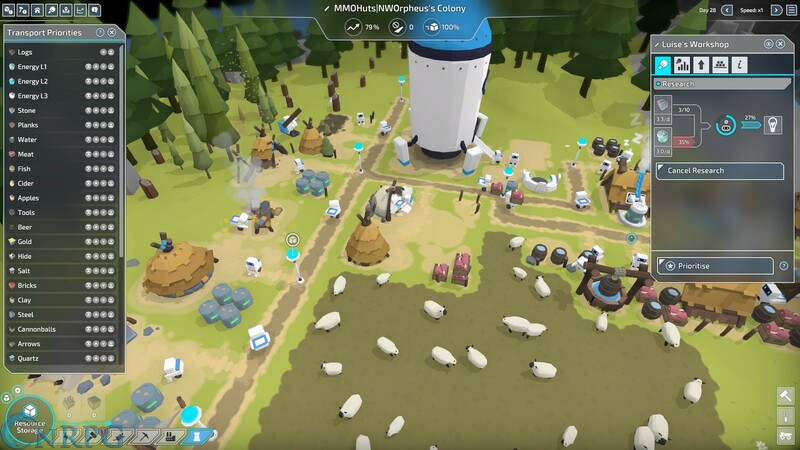 The basic premise in The Colonists, in fact, is that you’re guiding a group of self replicating robots as they attempt to build a civilization for themselves after escaping Earth, where they were treated like slaves. The robots themselves are adorable in my opinion, looking something like what you might expect of the babies if Wall-E and EVE procreated somehow. 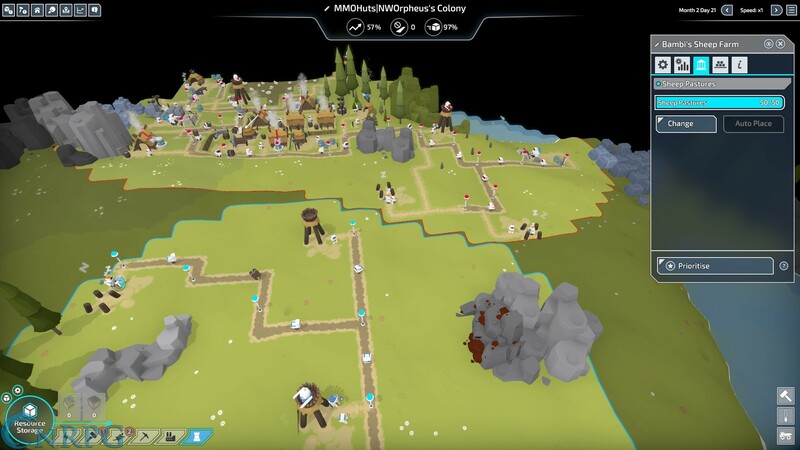 Much like in any sort of colony building simulation, which at its core is what The Colonists really is, your citizens have needs. 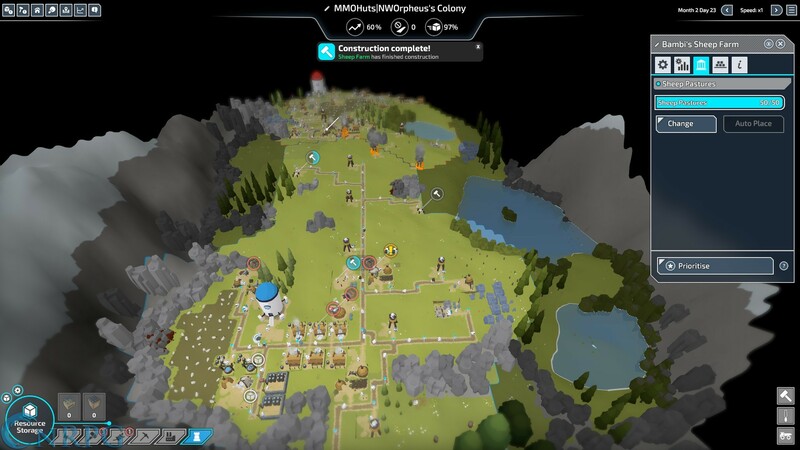 This is, unfortunately, where the game has some problems for me. 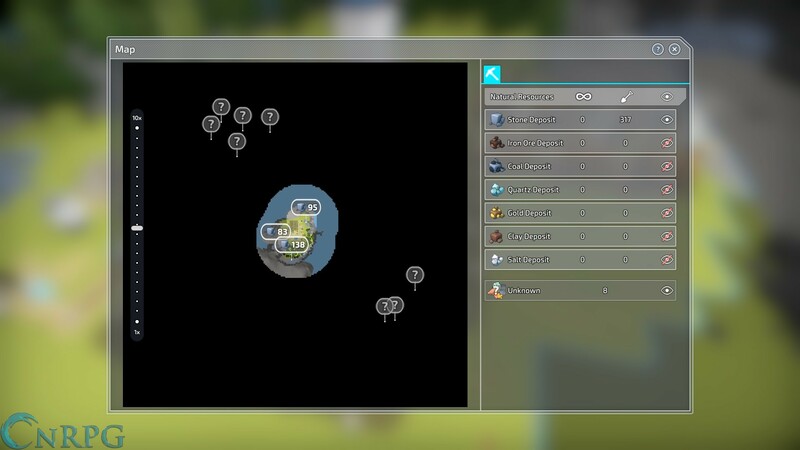 For no reason that is readily explained in game, your robots require food and water in order to produce energy. In houses. This definitely detracts from the game and feels sort of cheaply done in my opinion. I’m not sure I can necessarily suggest better mechanics, but I’m not the designer. Just having robots that require food, water, and alcohol in order to function bugs me on some level, at least without decent justification in the story. That one irritation notwithstanding, I still enjoy the game. It’s a pretty basic supply chain type system. The food and water are used to create energy. Energy is used at mines which provide stone, coal, or iron. Energy is also used to the lumberjack’s hut, and the foresters, which chop and plant trees respectively. Trees become logs, and logs can become plank for higher tiered buildings. 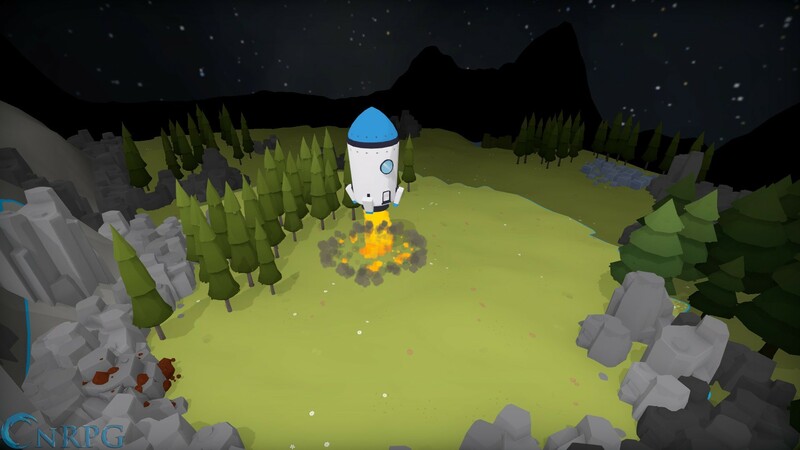 Standard fare for games, and nothing that really stands out of the ordinary. Advancement also requires and is gated by research. Once again, nothing unfamiliar with a game. 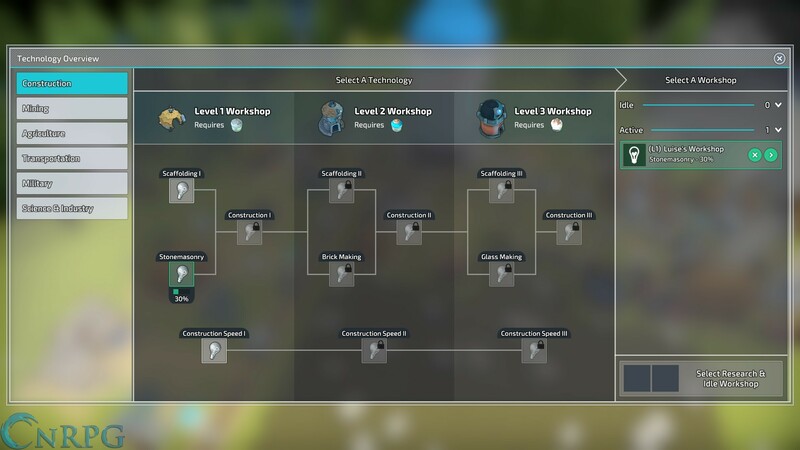 To get to Tier 2 buildings you have to research the Tier 1 upgrades and so on. 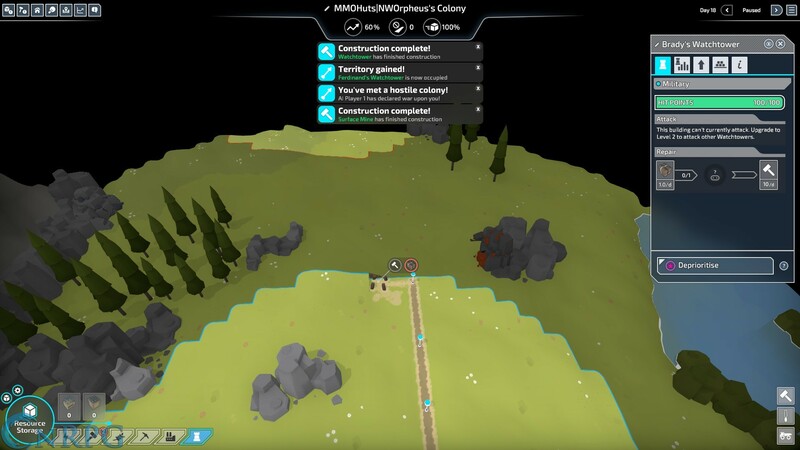 Researching military technologies quickly can be vital in the missions which require combat with another ‘tribe’ of robotic colonists. On that note, the campaign is split into separate chains. One requires combat, the other does not. All in all there are a total of 9 missions to complete. 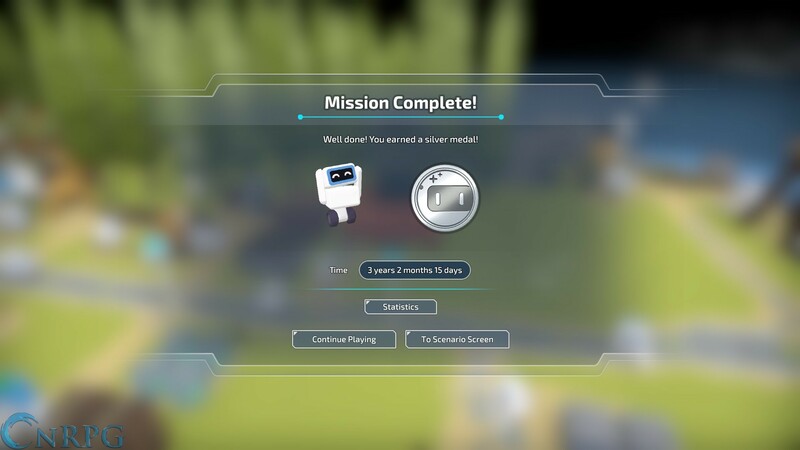 The first is a basic tutorial, and each additional mission introduces more requirements to complete. 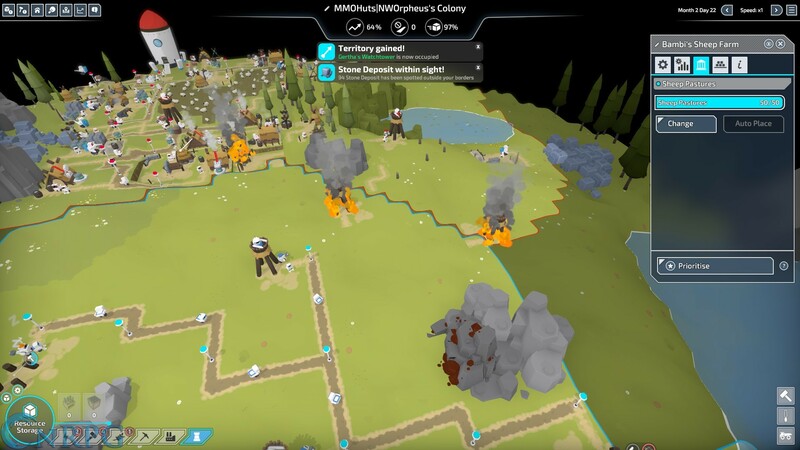 Again, one of the campaign lines requiring greater combat advancement, the other requires more basic technologies, such as boats or railroads. The music and sounds of the game are, in my opinion, highly appealing. They’re relatively understated, but very upbeat and positive. 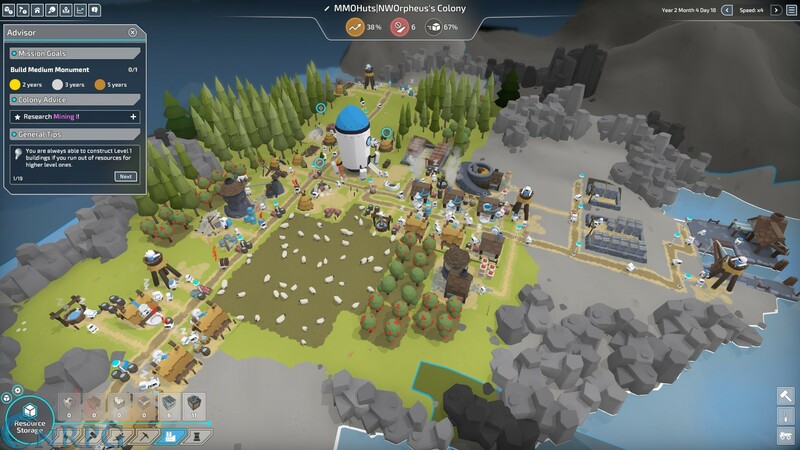 The Colonists isn’t the type of game you’re going to clock 900 hours on Steam playing. 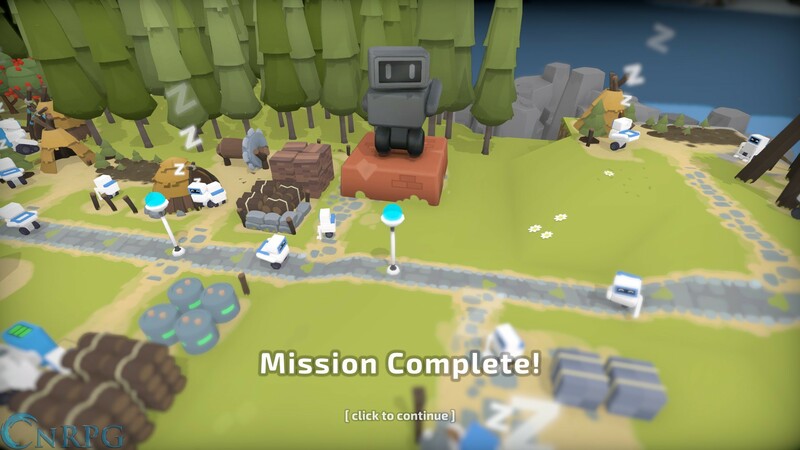 In fact, after the 20-25 hours playing through the campaign you may be interested enough to go back and get gold medal finishes for the games (IE for finishing in under a certain amount of time) or you might not. 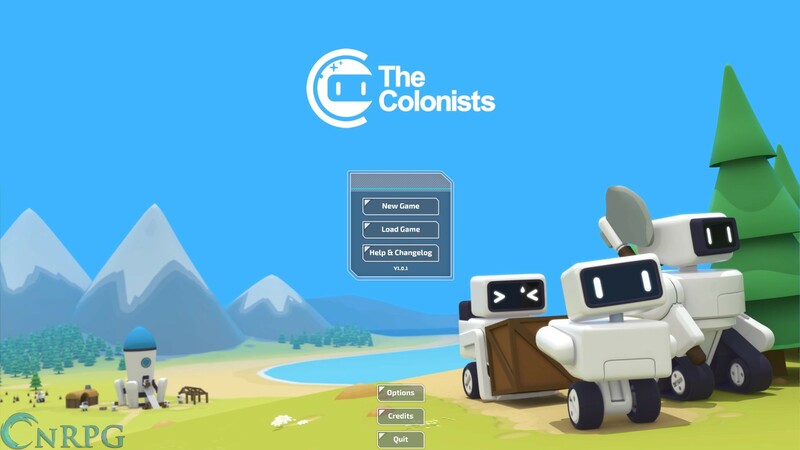 Ultimately, I found The Colonists to be a pleasing if unoriginal experience. 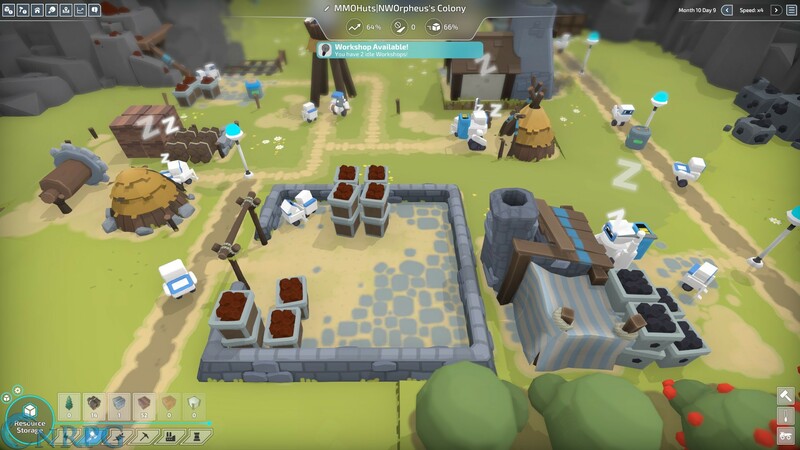 If you’re a variety streamer, like myself, you might find it a worthy pickup for playing through for a week or so. You can even change the name of the bots, which my viewers found charming. If you change a worker’s name, their place of business changes too, such as “Ragachak’s Guard Tower” or “Missy Shade’s workshop”. 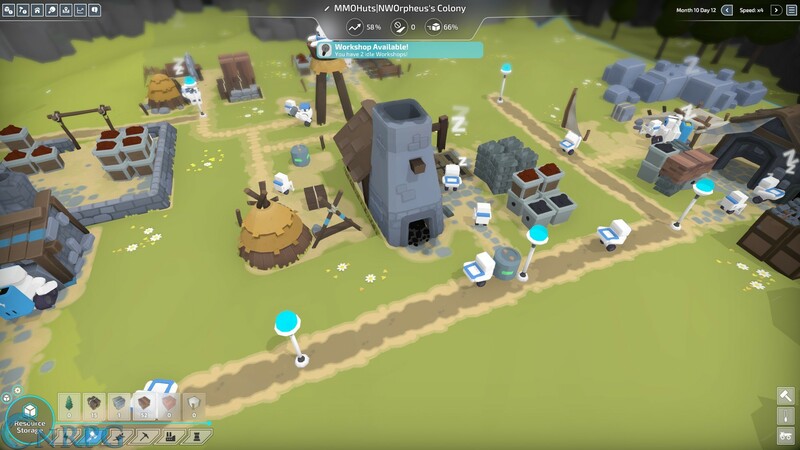 I think anyone can appreciate the simple but endearing game play of The Colonists really, and I recommend you give it a shot if you’ve got a few extra dollars laying around.